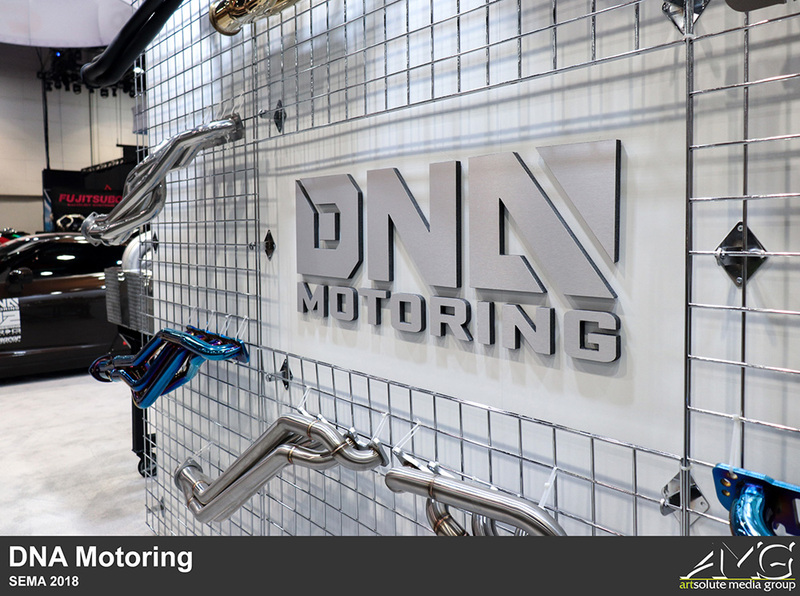 DNA Motoring's exhibit was designed to look classy, modern, and minimalistic. 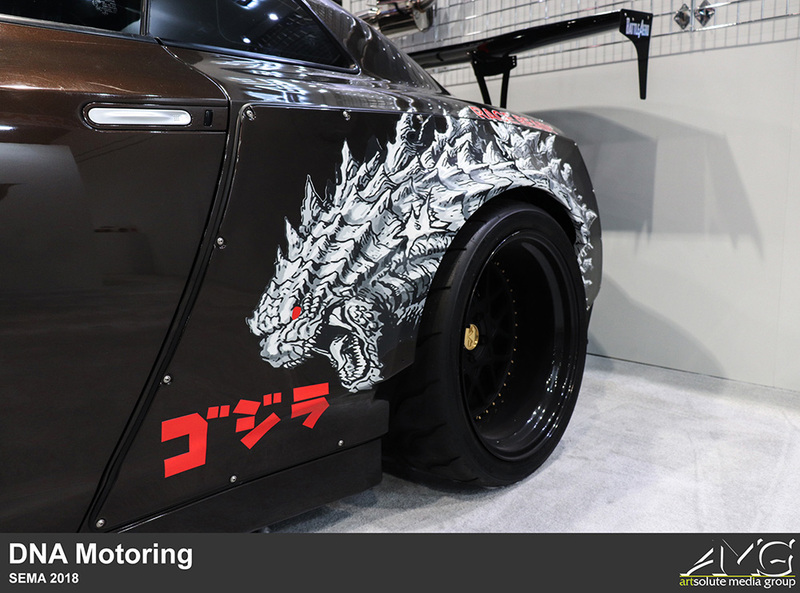 In order to achieve this look, we went with an all white design with subtle accents of chrome to add an extra dimension to it. 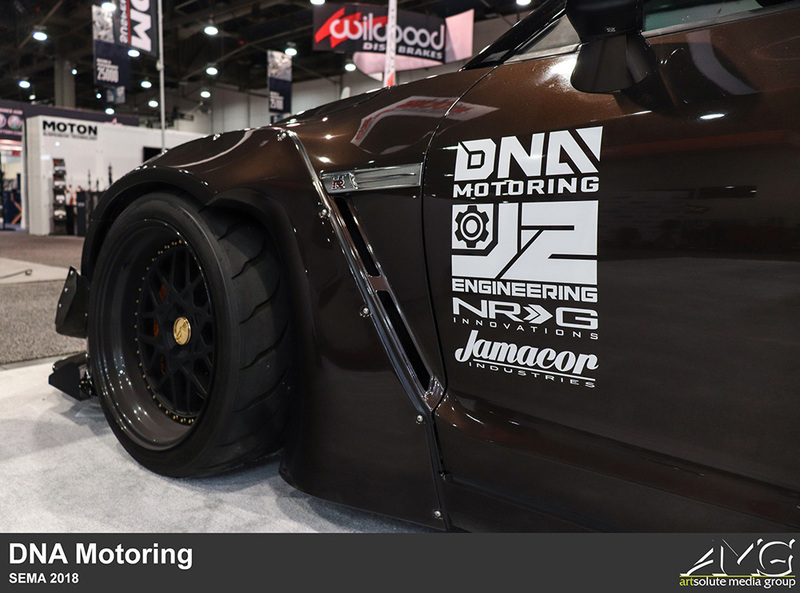 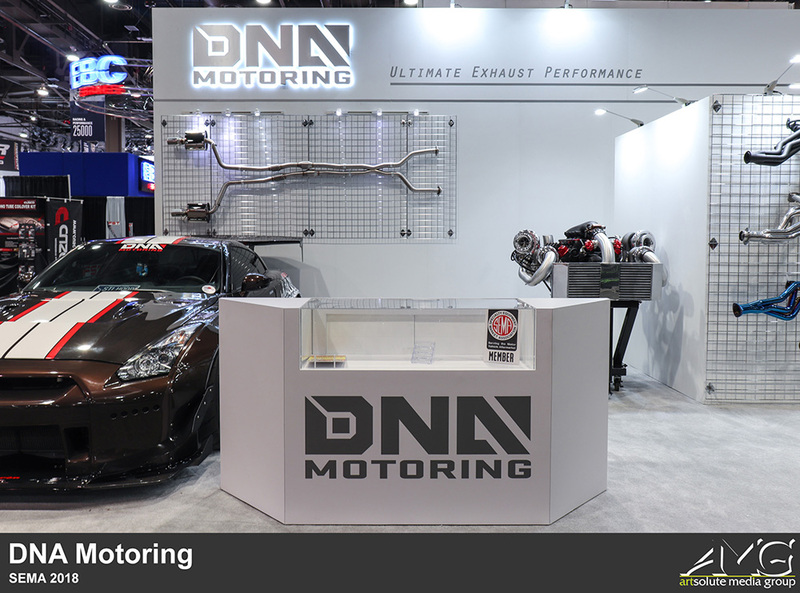 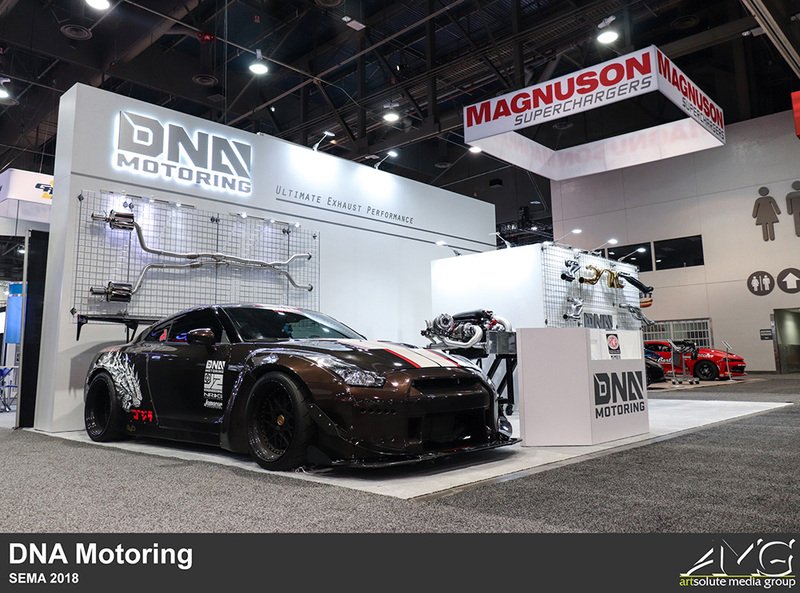 DNA's modded car with custom decal was a standout focal point of the booth, so we specifically designed the other elements of the booth to complement it. 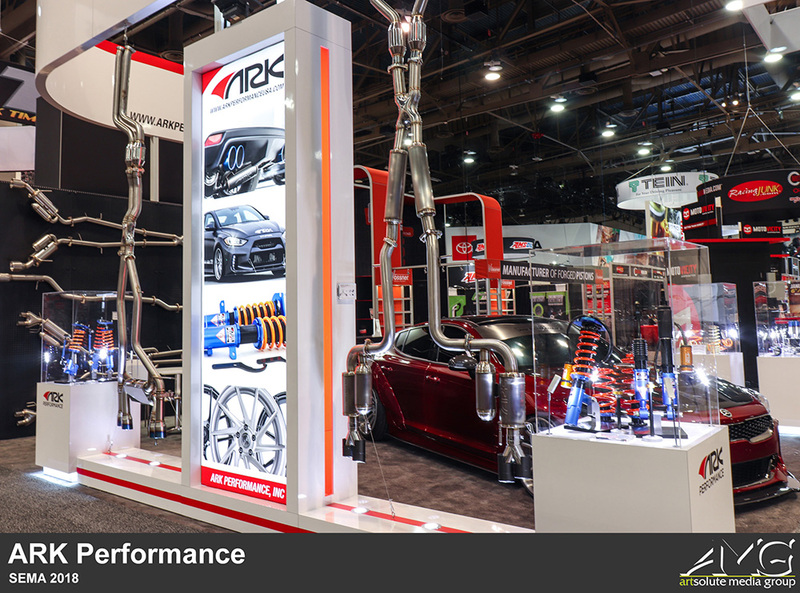 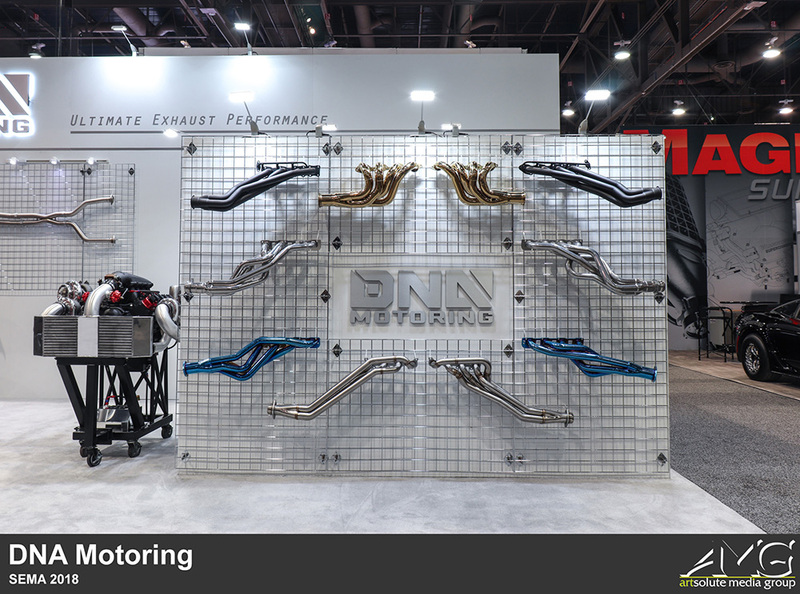 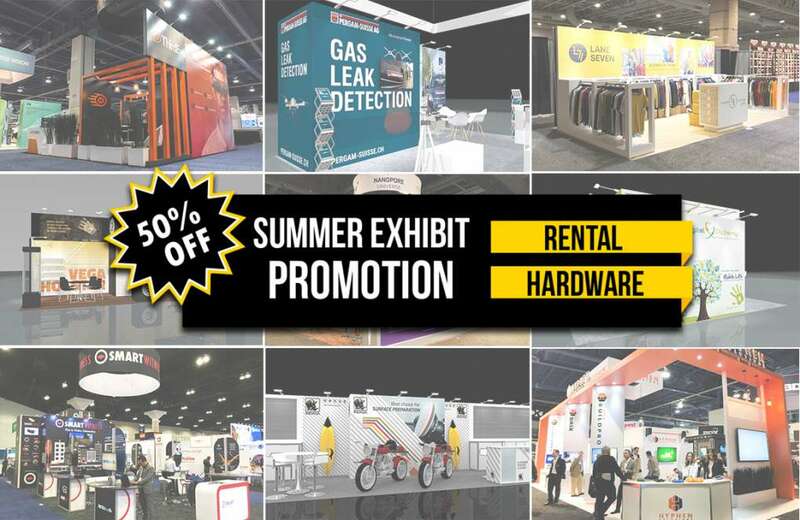 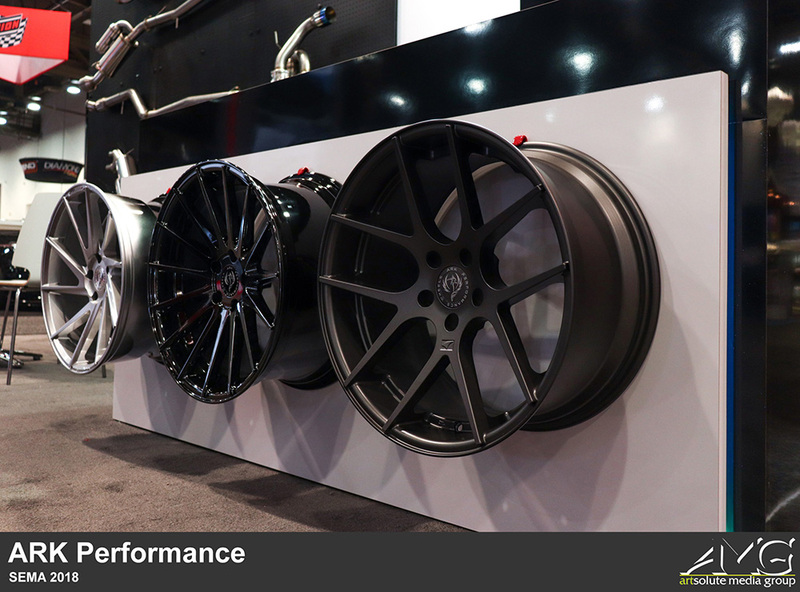 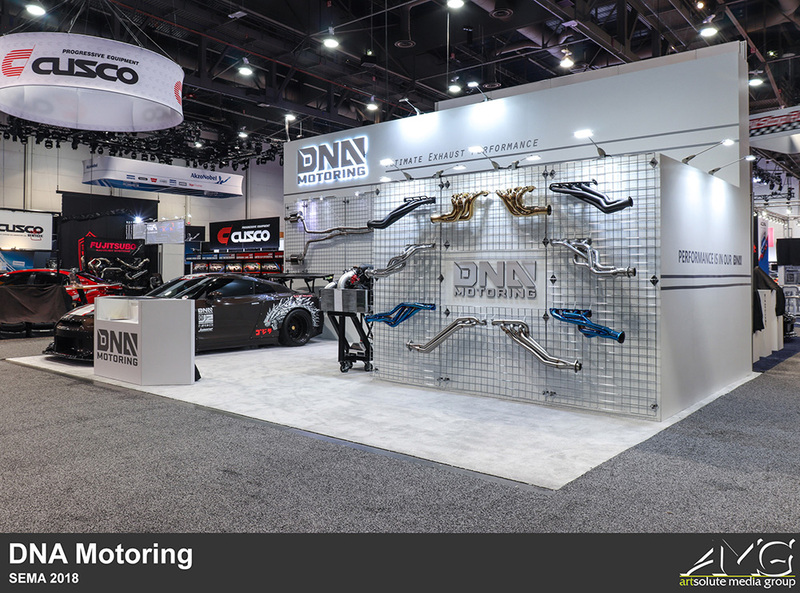 This exhibit also features two product display walls, both of which feature exhaust systems in different colors and finishes. 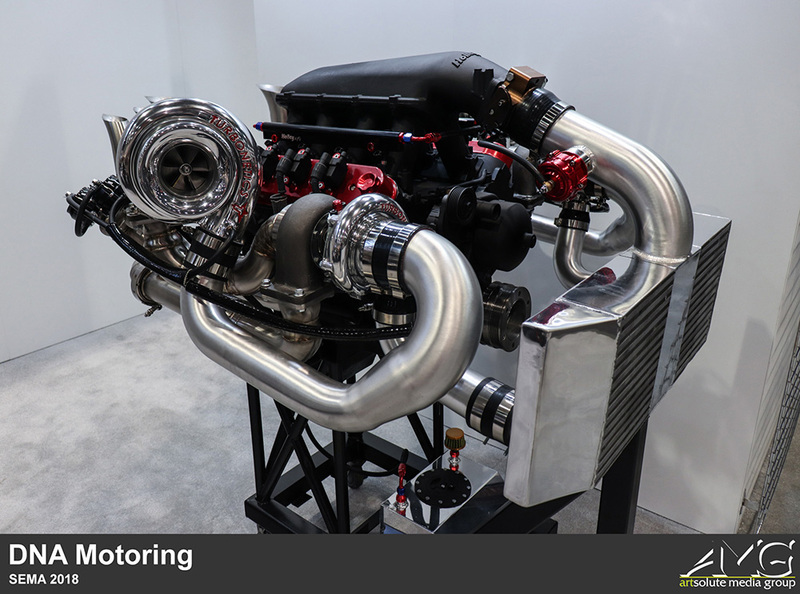 Lastly, in the middle of their exhibit is a standalone engine being displayed on a cart. 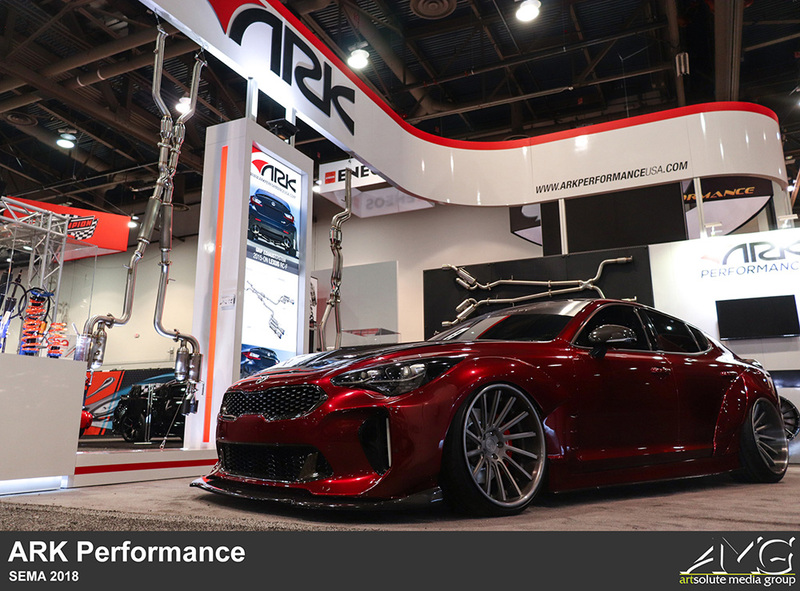 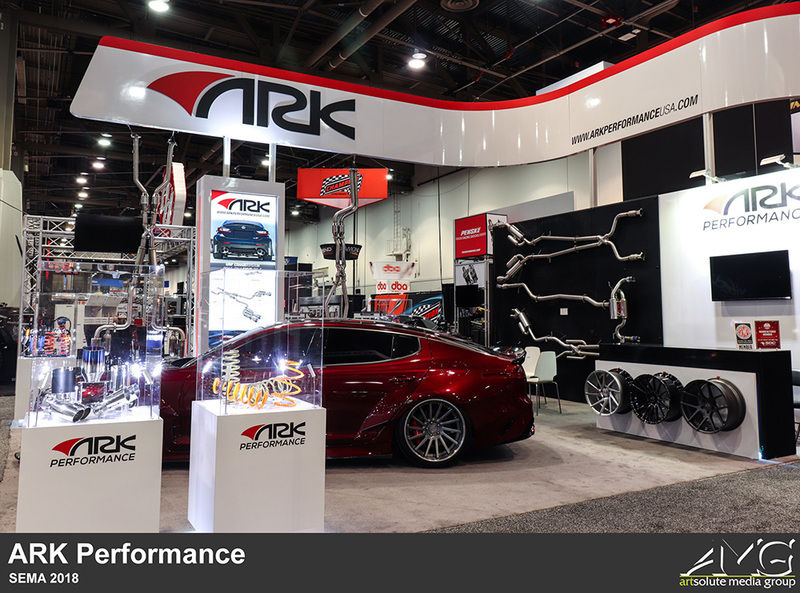 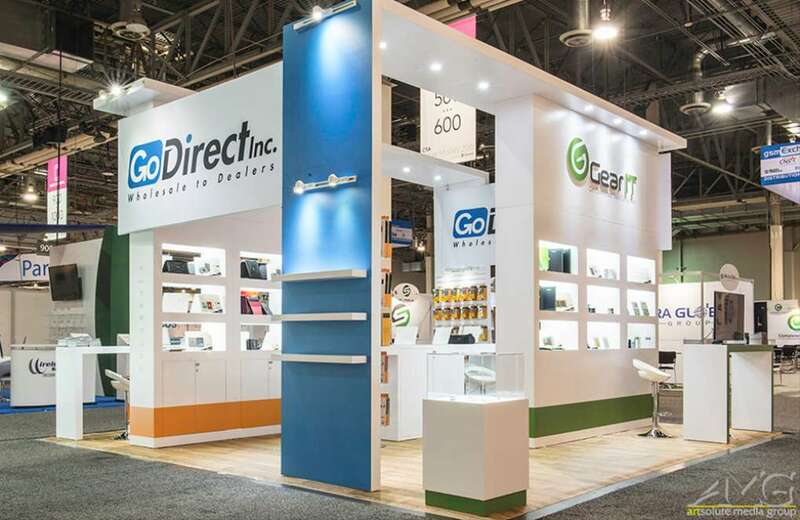 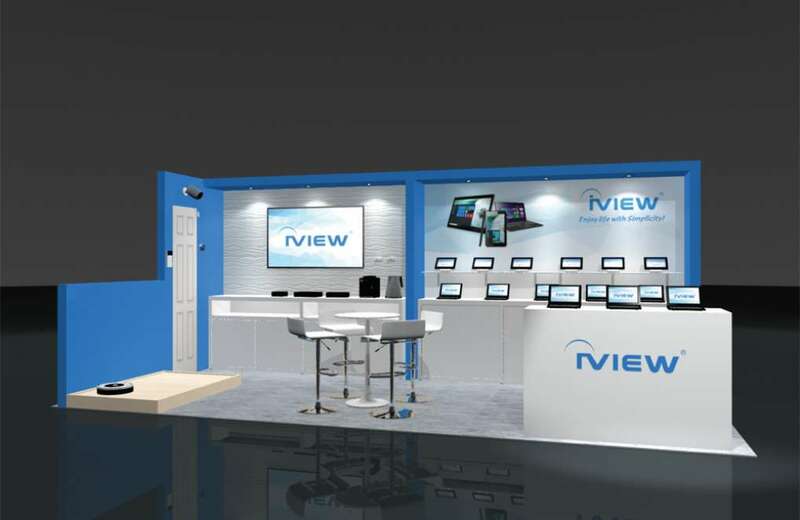 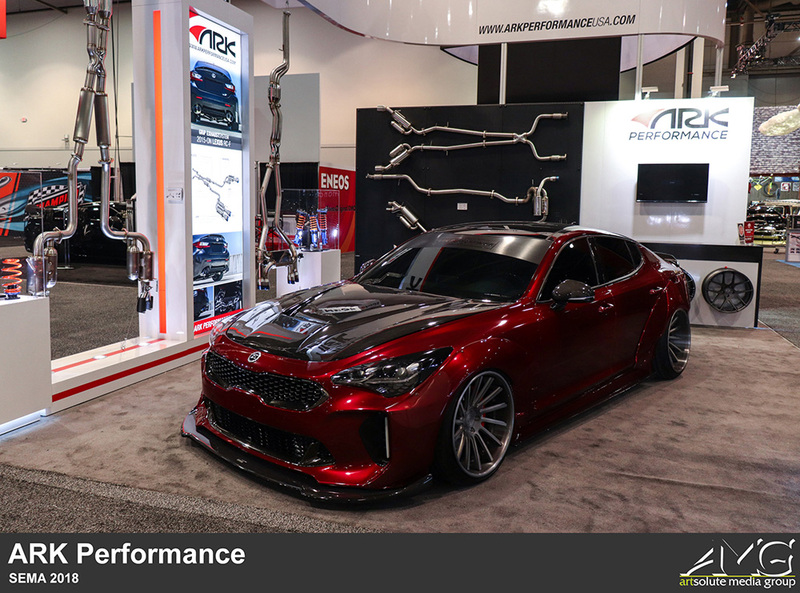 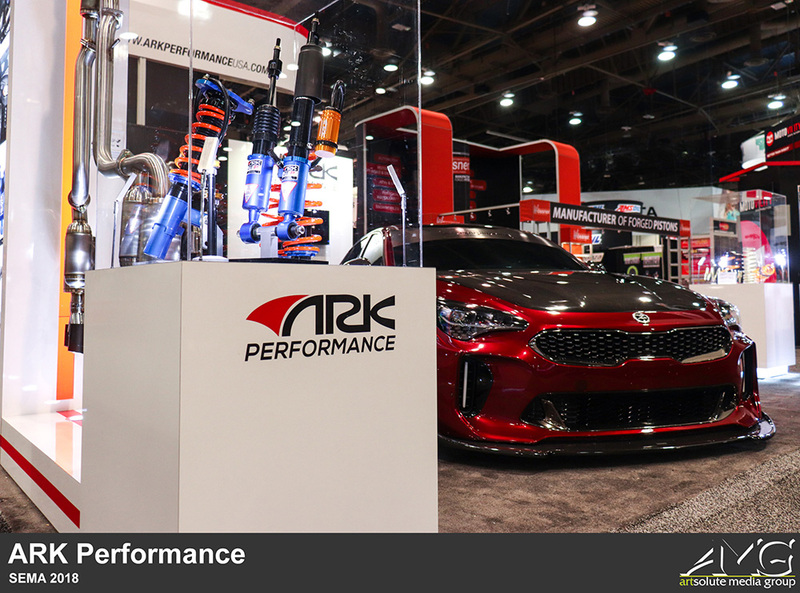 Ark Performance's exhibit design focused on integrating their product display into the structure itself in a synergistic manner. 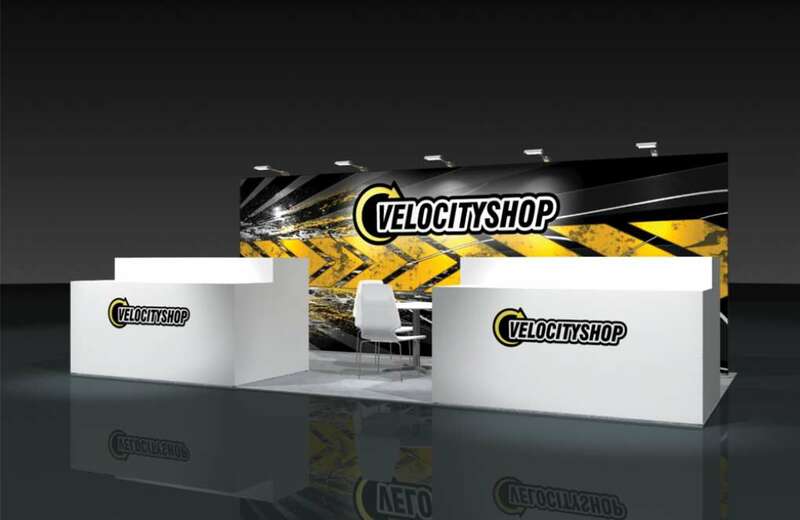 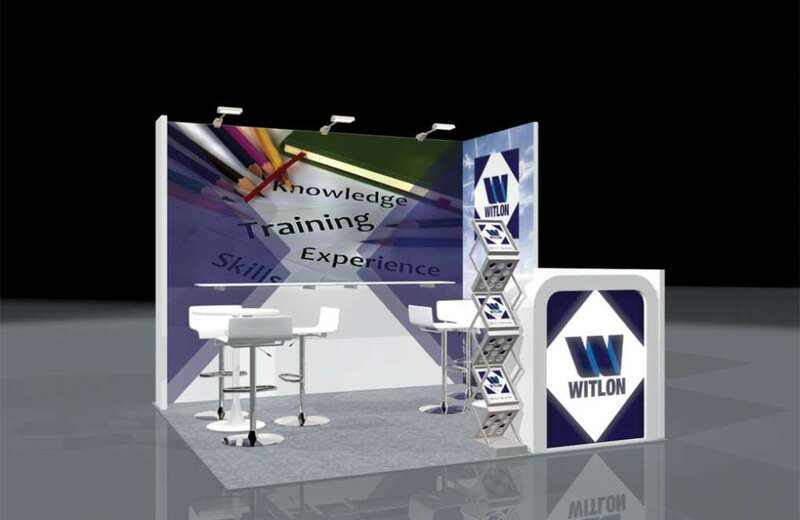 The top of their display features a curved banner-like structure that adds a stylish silhouette to the exhibit. 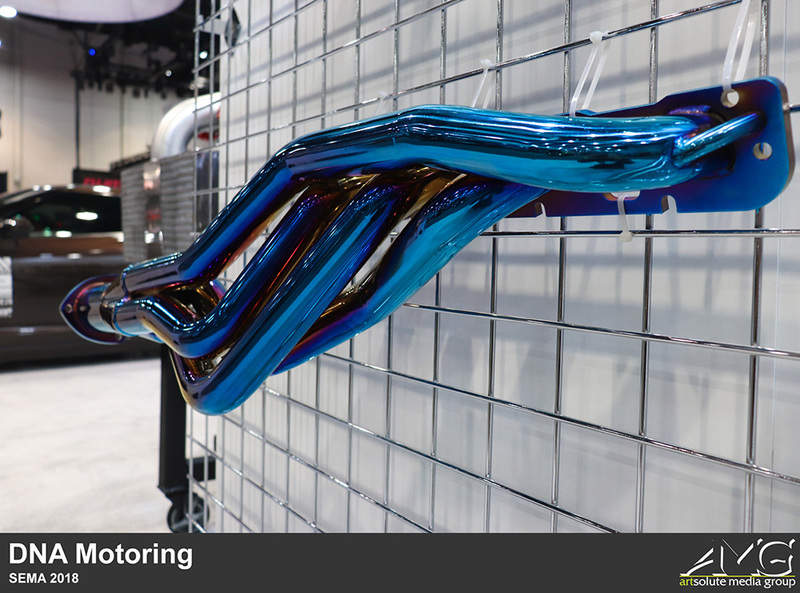 Two sets of exhaust systems are vertically suspended right below it, giving off the appearance that they're floating. 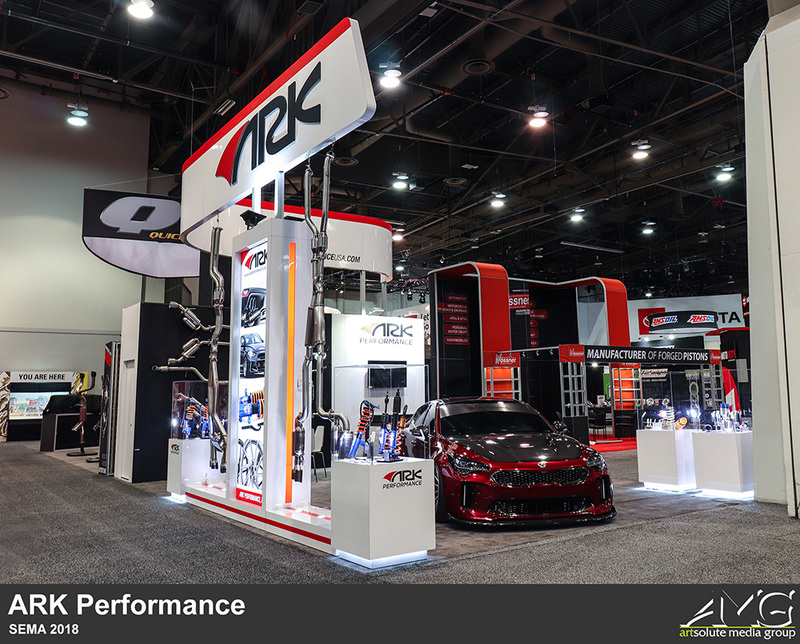 Along with the numerous lightbox display cases stationed on the edges of the exhibit, the consistent accents of red throughout the booth, and their custom modded show car parked right in the center of everything, the entire display gives off a very contemporary feel.